After what felt like half the state being on fire, Southern California finally got some much needed rain. Great for my garden - not so great for my hair. I learned many moons ago that wash n' go's done on wet hair in the rain never dry. It doesn't matter what I do. So instead of proceeding with my wash day per usual, I opted for a style that's better suited for cold and wet weather. This bun hawk style is perfect to wear for a night out, to the gym, or as a part of your glorious getup to go see Black Panther this February. It's edges friendly, protects your ends from cold air exposure, and best of all - is really easy to do. Trust me - if I can do it, you can do it. And probably better. 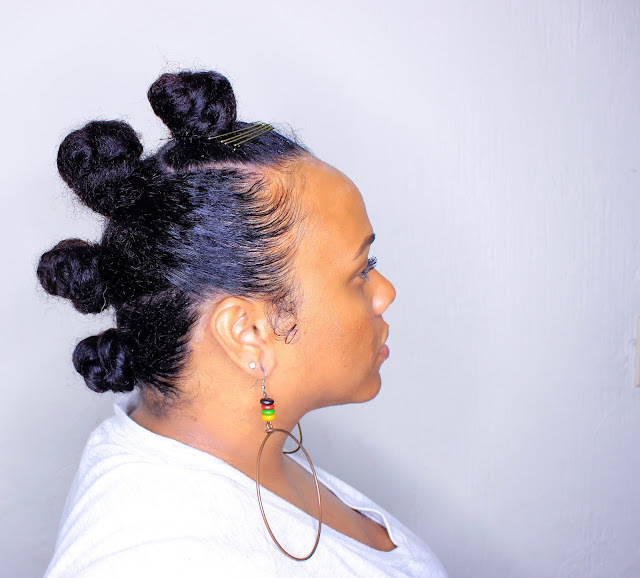 Transitioners - the bun hawk works for you too! Feel free to mix it up with different accessories, hair jewelry, bobby pins, gold wire around the buns, braids, and more. I chose to accentuate the front of my style with gold bobby pins. 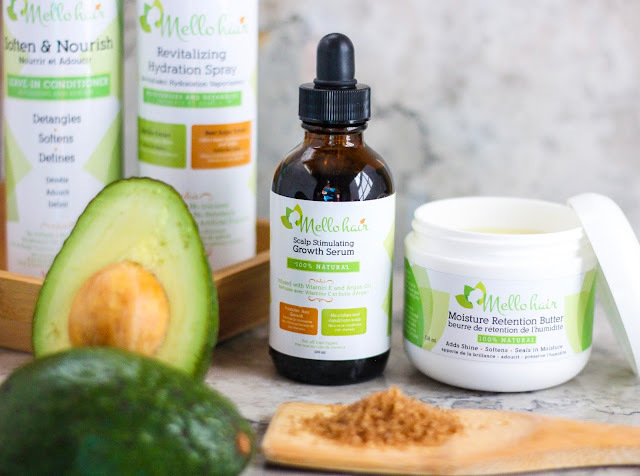 Mello Hair products are all natural and curly girl method friendly! 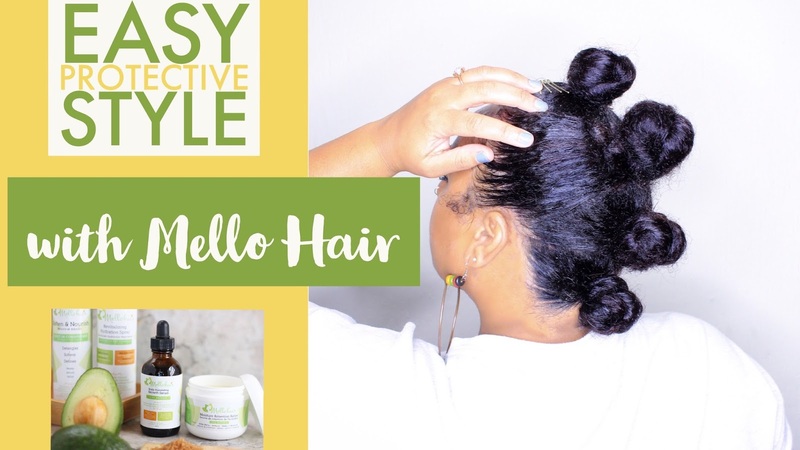 Moisturized hair is key to the success of any protective style (really, any style period) - which is why I chose to use the Mello Hair line. Each product contains a blend of all-natural ingredients that hydrate, nourish, and combat dryness. Mello Hair products are free from artificial colors and fragrances, which makes it perfect for naturalistas like me with sensitive scalps. For a detailed review of each product from Mello Hair, keep reading! Marshmallow Root Extract: Acts as a natural conditioning agent that restores the hair's sheen, luster, and shine. It not only makes the hair soft, but it also enhances strength and suppleness. Marshmallow root adds slip, sheen, and extra conditioning properties. Beet Sugar Extract: Amino acid (betaine) rich extract derived from beet sugar that aids in improving hair strength while helping to boost elasticity, smooth the cuticle, and help prevent breakage during styling. Castor Oil: Thick, highly viscous oil with antibacterial, antifungal, and humectant properties. It is also a great moisture sealant, and promotes hair thickening and growth. Rice Bran Oil: Antioxidant oil rich in vitamin E that helps prevent free-radical and oxidative damage to hair. Also rich in ceramides which penetrate the hair and restore moisture within the cortex. First things first. If you LOVE essential oils like me - then you're going to love EVERYTHING about Mello Hair. The Soften & Nourish Leave-In Conditioner smells like a lemongrass dream, thanks to the all-natural lemongrass essential oil it contains. Texture-wise, the Soften & Nourish Leave-In Conditioner feels more like a silky lotion than your traditional leave-in, which gives my hair a supple, satiny feel. It penetrates the hair immediately, without feeling leaving buildup or oiliness. It leaves behind no white residue either - whether you apply it to damp, dry, or soaking wet hair. 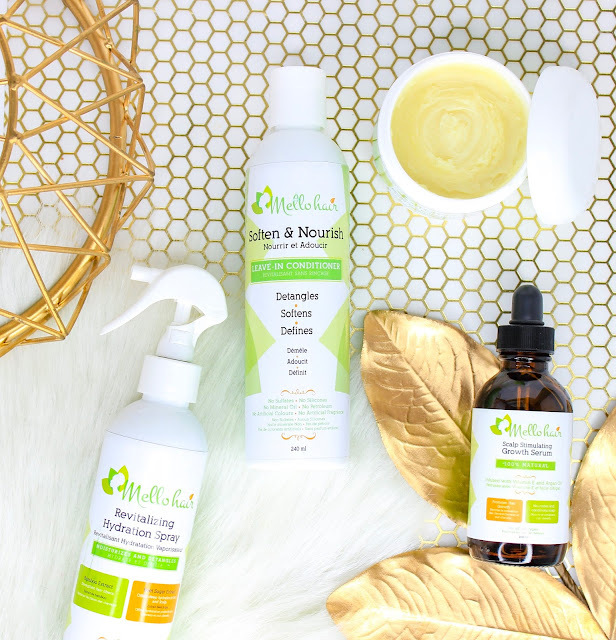 The Soften & Nourish Leave-In Conditioner plays beautifully with other products from the Mello Hair collection, but also with other creams and gels. The slip is off the charts, and it's versatile enough to be used as a leave-in, mid-week moisturizer, or primer for protective styling. I've literally got NOTHING bad to sayy about the Soften & Nourish Leave-In Conditioner. It works for everything from wash n' go's to updos and protective styles. One of the most important things to do before entering a short or long term protective style is ensure the hair is properly hydrated. The Soften & Nourish Leave-In Conditioner not only hydrates, but strengthens, detangles, and keeps hair soft and supple for the long haul! Side profile. Try not to judge my big head (and five-head). Jojoba Oil: Oil closest in molecular weight to the natural sebum produced by the scalp. It coats the hair shaft (its molecular structure prevents it from penetrating the cuticle) and aids in providing slip and protection. Bamboo Stem Extract: Silica-rich extract that is key for hair and skin health. Bamboo extract contains 70% silica, which is a building block of healthy hair, and aids in collagen production. I may or may not have a more elaborate version of this style on deck for Black Panther in February. Although the Revitalizing Hydration Spray is a hair refresher, I love to use it as a dual-purpose product. It definitely refreshes the hair, making it pliable yet strong - which is why it's the perfect prep product for updos and any styles that require manipulating the hair. But where I really love to use the Revitalizing Hydration Spray? On my scalp and edges. #truestory. Scroll up and look at those ingredients. Beet sugar and bamboo help strengthen at the root and promote growth. Glycerin is one of the absolute best ingredients for your scalp, especially if you have psoriasis or ezcema. It really helps with dryness. Lock all that goodness in with jojoba and rice bran - and you've literally got the perfect cocktail for dry, sensitive scalp. I even use it to help reinforce my edges - because it's 2018 and edges matter. I'd love a lil' peppermint essential oil for some tingle, but ehhh I ain't complaining! The Revitalizing Hydration Spray is immaculate as-is. I love a good multipurpose product, and Revitalizing Hydration Spray is exactly that. With a stellar ingredient list, this spray refreshes the scalp and hair from root to tip! Shea Butter: Emollient fat from the nut of the East or West African shea nut (karite) tree. Proven effective moisturizer, natural anti-oxidant, improves skin elasticity, and treats a variety of skin conditions such as psoriasis and eczema. Mango Butter: Rich in beta carotene, essential fatty acids and vitamins A and E. This ingredient also helps to treat dry skin and protect against future dryness. Avocado Butter: Omega 3-rich buttert that can enhances shine, moisture retention, softness, and elasticity in hair. Babassu Oil: Oil pressed from the kernel of the Brazilian Orbigynya Palm Tree, with a similar chemical composition to coconut oil. It is able to penetrate the hair (to a degree), improving moisture, strength, elasticity, softness, and shine of hair. It is a wonderful alternative for those who want the benefits of coconut oil, but don't care for it in the hair. Christiana, listen. (No I'm not talking to myself, Christiana is the founder and creator of Mello Hair, lol) I NEED YOUR SECRETS. The Moisture Retention Butter gave me so many questions. How are you so smooth? Why are there no clumps? 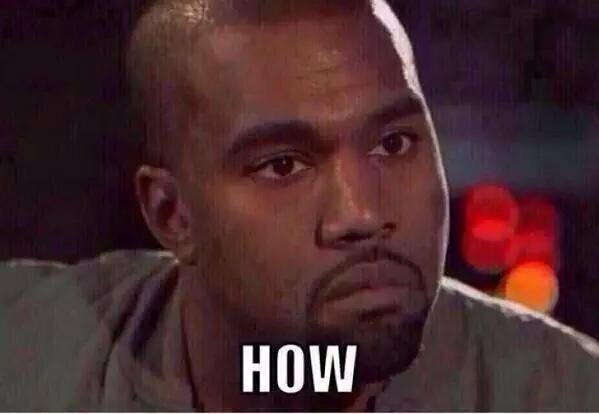 No grit? Why are you so silky and easy to work with? How are you a butter that seals in moisture, but ain't greasy? HOW?! Because long story short, I'm in love. The Moisture Retention Butter is quite honestly, one of the best I've ever used. I've never experienced a shea-based butter that looked, felt, or smelled, like this one. Even in cold weather, it was easy to use (you know how some butters get when the temperatures drop below 50 lol). It keeps my hair soft, locks in moisture, and doesn't make it feel greasy at all. And it's a Godsend for my dry ends! After I asked all those questions, did you really expect me to have something bad to say? Everyone needs to try the Moisture Retention Butter. At least once. I promise, you won't be disappointed. Soybean Oil: Carrier oil used to lubricate and nourish the hair, providing softness and shine. Flaxseed Oil: Omega-3 rich oil that benefits the hair by improving elasticity, smoothing the cuticle, nourishing hair follicles, stimulating growth, easing dry, flaky scalp, and increasing hair strength. The perfect solution for all my sensitive scalp naturalistas. I've become a huuuuuuge fan of Mello Hair's Scalp Stimulating Growth Serum, because it provides amazing relief for something special that's been going on with my scalp for a while. 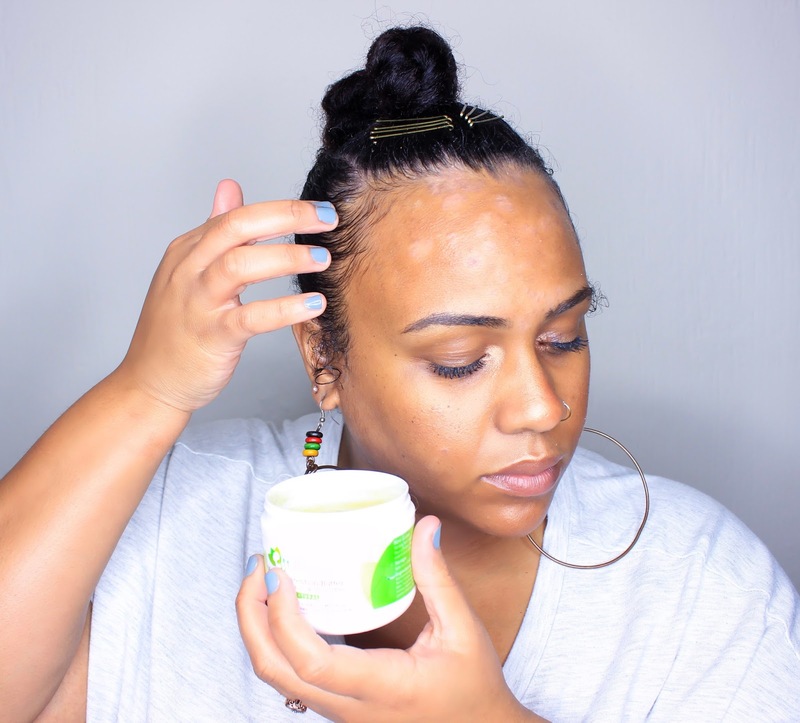 I mentioned it in this blog post about products for scalp relief, but just in case you missed it - here's the short version. Whenever my hair has a growth spurt (especially with seasonal changes), my scalp gets really tender. Not inflamed or tension tender, but "new hair is pushing out" tender. Earlier this season, I had one of those spurts come about, and I needed something fast. Mello Hair's Scalp Stimulating Growth Serum was the closest thing to me, and I went innnnnn. The cooling relief was virtually instant. I got that amazing tingle plus soothing relief on site. The Scalp Stimulating Growth Serum packs enough punch to be effective, without being greasy or weighing the hair down. I just wish it came in a bigger bottle. 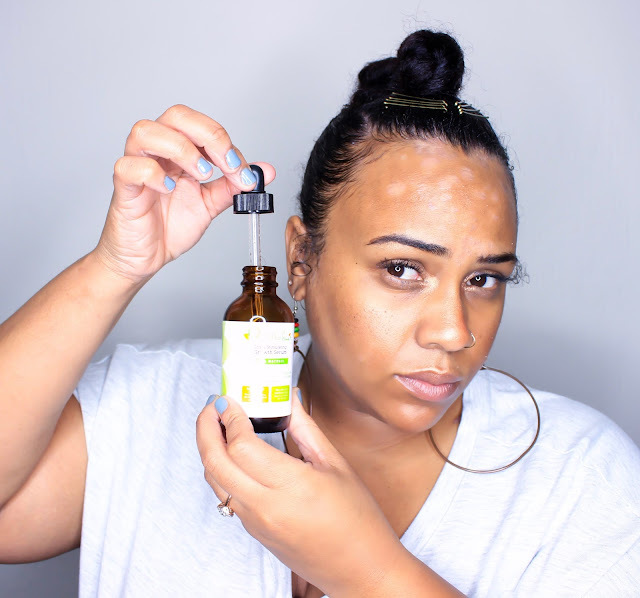 Whether it be for a protective style, or day to day scalp care, the Scalp Stimulating Growth Serum is clutch, contains phenomenal ingredients, and is packed with oils like neem, hemp, flaxseed, avocado, and tea tree - which are especially helpful for those of us with scalp conditions. Mello Hair = Moisturized Hair. 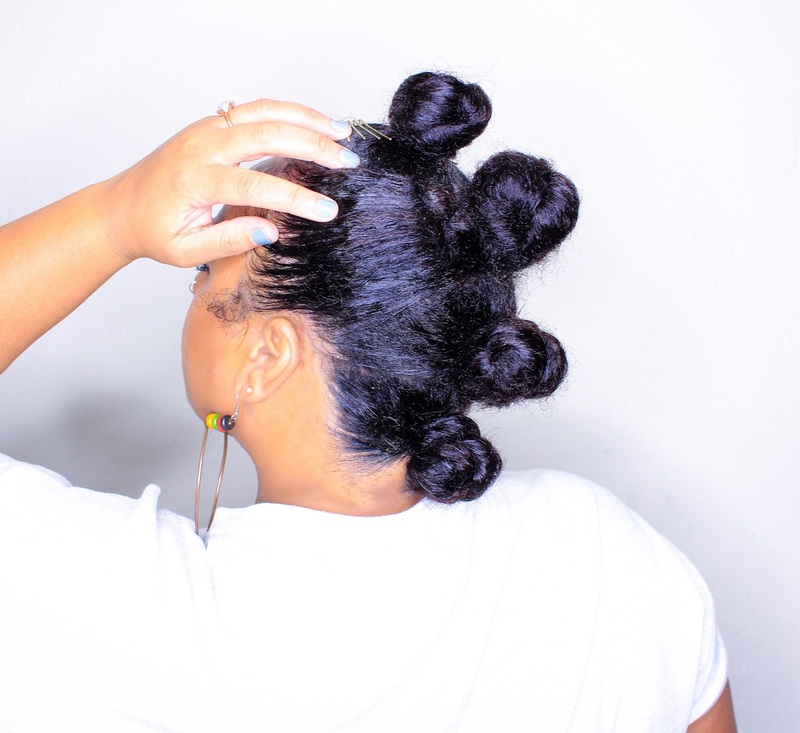 Will you be giving the bun hawk and Mello Hair a try? Let me know in the comments below! This blog post is sponsored by Mello Hair. The droop is usually brittle, fallen, fibrous and split. So, the most important thing is to add nutrients and moisturize the 24 inches weave hair. After shampooing, you should choose a moisturizing shampoo for dry 20 inches weave hair and shampoo 2-3 times a week.